Are you looking for Keg Beer? Then look no further. Las Vegas Liquor Outlet is the number one Liquor Store for Keg Beer selection. Keg Beer is often the best choice when hosting a great time in Las Vegas. 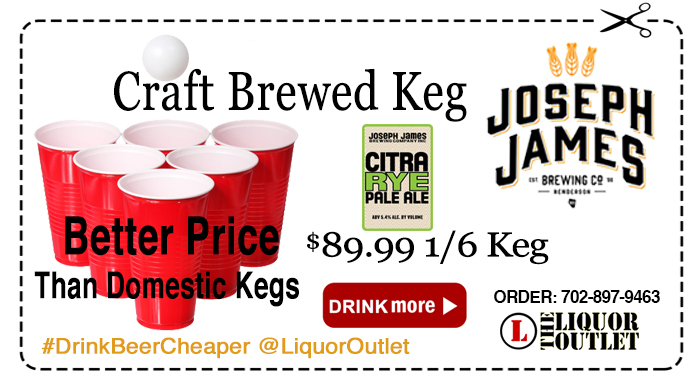 Check out Liquor Outlet largest selection of Keg Beer. You won’t be left disappointed wether you live in Las Vegas or visiting our great city. Why a Keg? Better Taste, Less Trash! Growler Station now at all four Las Vegas Liquor Outlet locations. 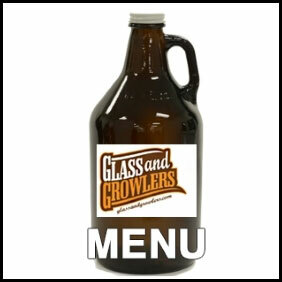 Click here for location Growler Menu. Visit or Call Stores for individual keg pricing 702-897-9463. Distributor Legend: BB-Miller, JB-Johnson Brothers, NB-Budweiser, CB-Coors, SW-Southern Wine & Spirits. Liquor Outlet Keg Beer list please feel free to call us if you have any questions. Most of the major beer wholesalers (Bud,Miller,Coors) sell logo plastic and glass cups. These cups range from the beer logo’s themselves to NASCAR and the NFL. We will be more than happy to quote you prices on these items upon request. A 1/2 Keg contains 15.5 (1984oz) gallons of beer. A 1/2 Keg will roughly pour: 198 – 10oz cups, 165 – 12oz cups, 141 – 14oz cups, and 124 – 16oz cups of beer. A 1/4 Keg contains 7.75 (992oz) gallons of beer. It will roughly pour 1/2 of all the totals listed above (you get to do the math!). A 1/6 Keg is gaining in popularity, especially with the micro-brewers, and it contains 5 (640oz)gallons of beer (also remember, 1/6 kegss are almost as tall as 1/2 kegs, so make sure it will fit into your kegerator BEFORE you purchase. Import beers are usually available in 13.2 gallon Kegs and, or, 30-50 Liter Kegs. Many import beers require a different tap (see below for more information on buying international taps). Kegs, no matter the size, must always be kept cold. Keg beer is unpasteurized, and will begin to lose it’s quality and become foamy if it becomes warm. Hint #1: When tapping a keg, do not pump any additional pressure until it is needed. Excessive pumping and pressure will cause foaming when dispensing the beer from the tap. Hint #2: To avoid excessive waste during the course of your party, use smaller 7 or 10oz cups. All Domestic Keg & Micro/Import Keg special orders must be recieved by Monday for weekend use, and PRE-PAID upon ordering – REMEMBER: WE DO NOT HOLD OR RESERVE KEGS. All Keg orders are upon availability from the distributor, and prices listed are subject to change without notice – please confirm price at the time of ordering. Deposit for the Keg is $50.00 per keg. Deposit for a Tap is also $50.00 per tap. Domestic Taps are offered as a courtesy, we do not charge for Tap Rental. IMPORT taps are not provided, and is the responsibility of the customer (we reccommend www.micromatic.com as a source for purchasing import keg taps). Both Keg and Tap must be returned TEN (10) days after the day of the rental. After TEN (10) days, any cash deposits will be non-refundable. Due to the sensitive nature of Kegs, once a Keg has left the premises, it is no longer refundable or exchangeable.